One of the steepest funicular railways throughout Europe, located in San Antonio in Caldaro, was already inaugurated in 1903. The valley station of the Mendola Funicular can be found in San Antonio, a district of Caldaro. It is one of the longest and steepest funicular railways throughout Europe. 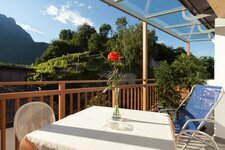 The route of the Mendola Funicular proceeds also through the beautiful orchards of the area. On the 12-minutes long journey it overcomes an altitude difference of more than 800 metres. Stop at the intermediate station, which is located along the Caldaro High Route. … perfect, for instance, for hikers who would like to walk some of the way by foot. The mountain station is situated at the 1,363 m high Passo della Mendola mountain pass. 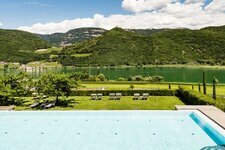 The view from the terrace opens on the Valle dell’Adige, the Oltradige area and Lake Caldaro. The Mendola Funicular was inaugurated in 1903 - at that time a superlative work. In the 1980s it was modernised and finally reopened in 1988 after five years of closure. Idyllic! The deeply snow-covered mountain station of the bright red Mendola Funicular. The Passo della Mendola mountain pass, in the 19th century a well-known summer retreat for guests such as Empress Sissi and Mahatma Gandhi, was made easier accessible in 1903 with the inauguration of the Mendola Funicular. At that time, it was a real masterpiece of engineering, planned by the Swiss engineer Emil Strub. The Mendola Funicular - “Mendelbahn” in German, “Funicolare della Mendola” in Italian - represented the longest funicular in the world and the steepest one in continental Europe, as well as Austria’s first electrically operated cable car (at that time South Tyrol was still part of the Austro-Hungarian Empire). 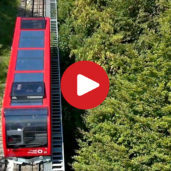 In the 1980s, however, the bright red funicular was modernised and is nowadays a perfect alternative for those who want to avoid the winding mountain road. 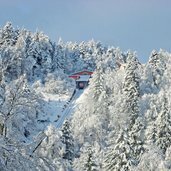 This undisputed highlight of the Oltradige area is still one of the longest and steepest funicular railways throughout Europe. On the 12-minutes long journey the Mendola Funicular overcomes a length of 2,374 metres, an altitude difference of more than 800 metres and 64% incline. The funicular starts in San Antonio, a district belonging to Caldaro - the mountain station is located at the 1,363 m high Passo della Mendola mountain pass. 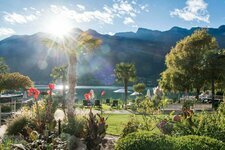 Arrived there, the stunning view opens from the sun terrace on the serpentines of the pass road and the Oltradige area with Lake Caldaro, including also the towns of Laives and Bolzano in the Valle dell’Adige valley. 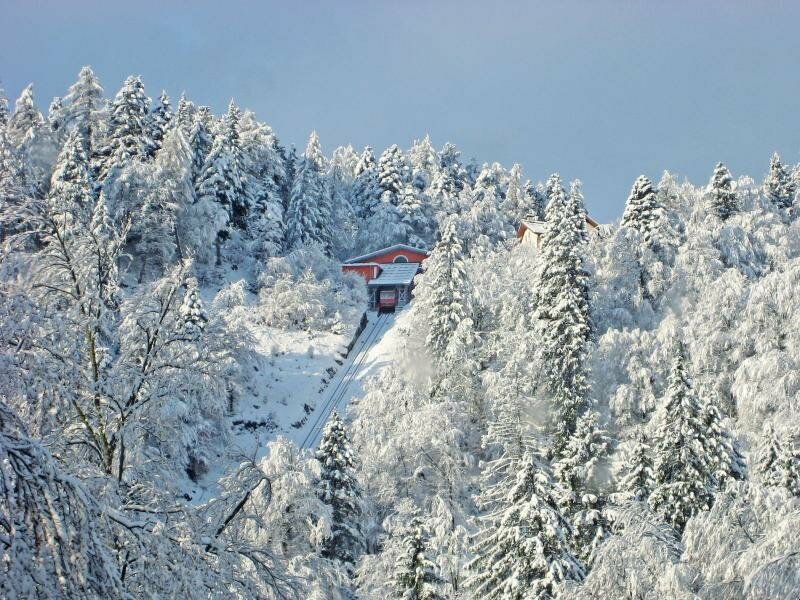 By the way: the Mendola Funicular is in operation daily all year round, approx. three times per hour.